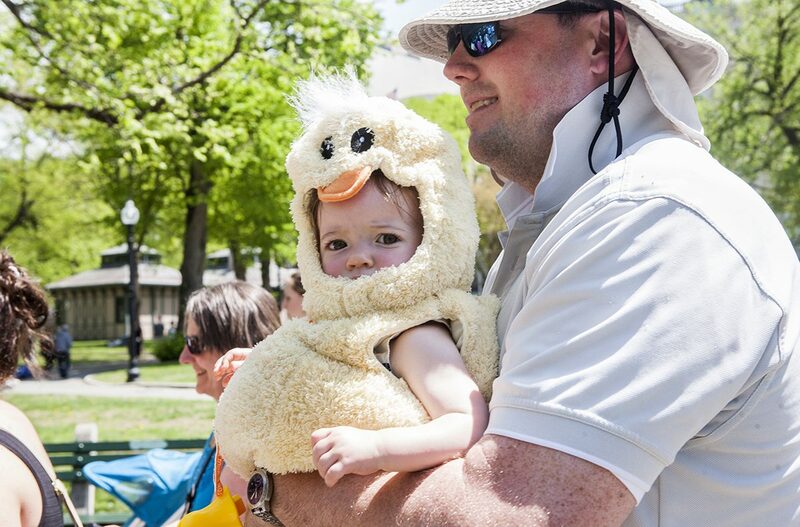 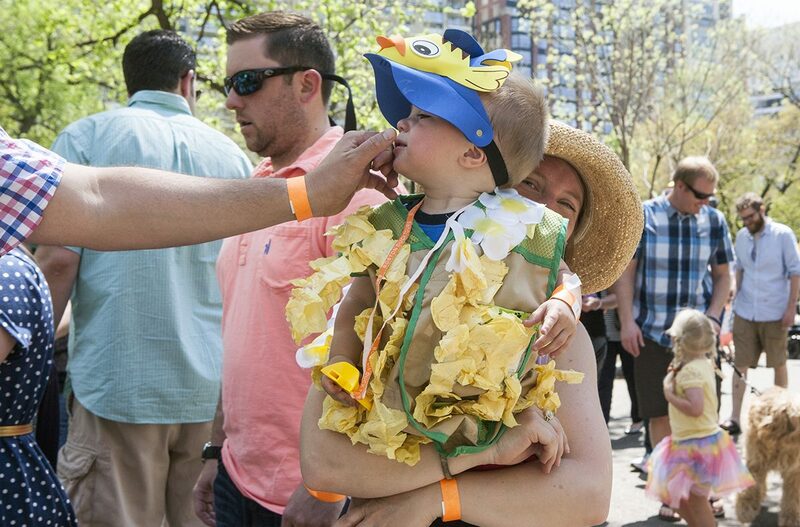 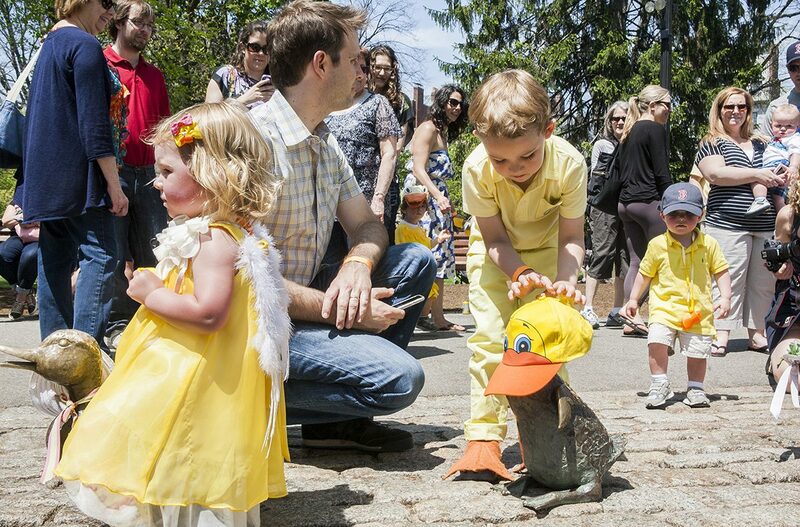 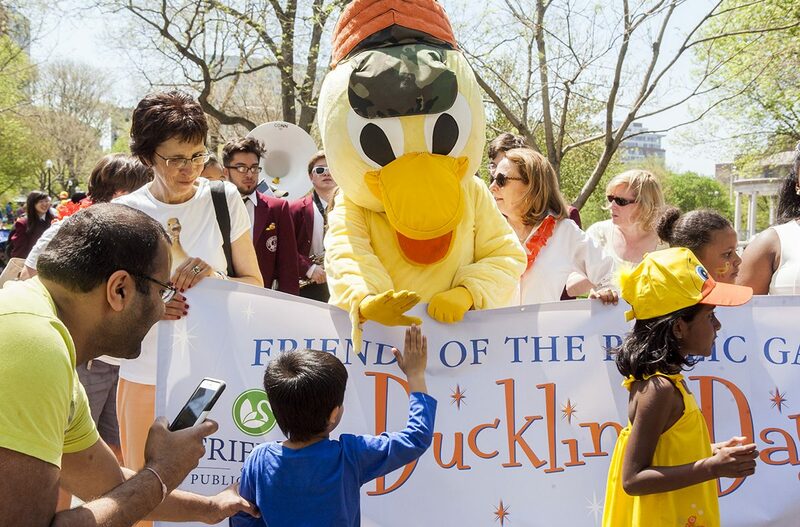 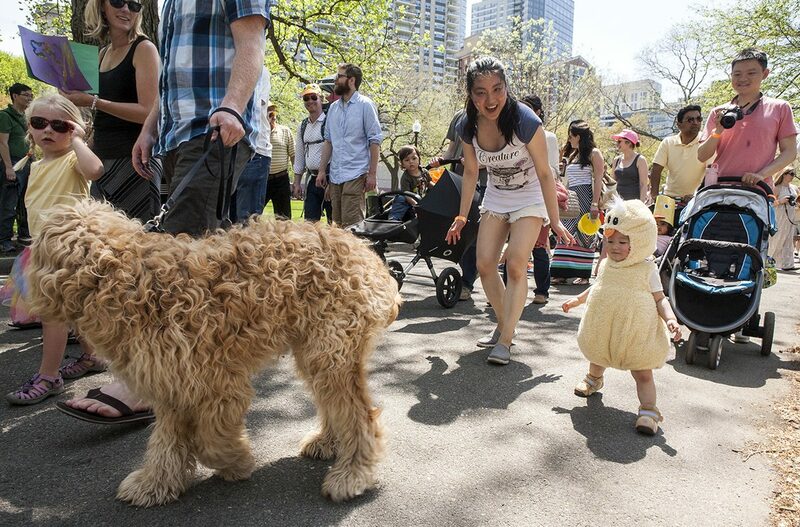 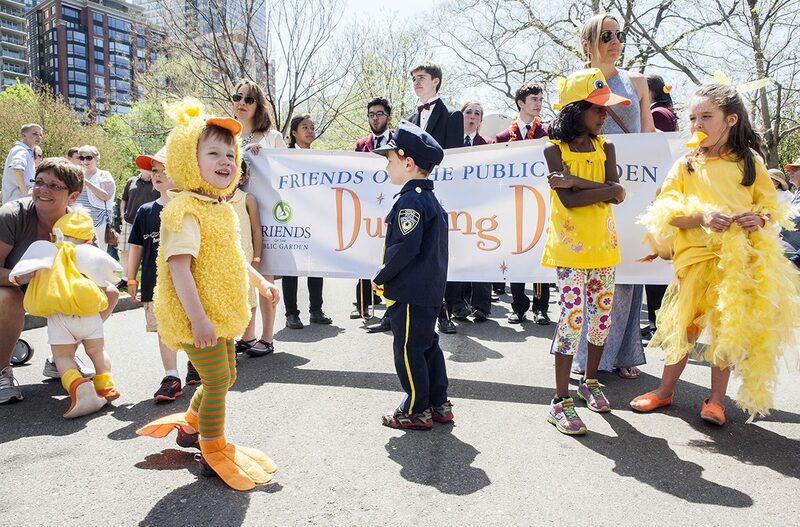 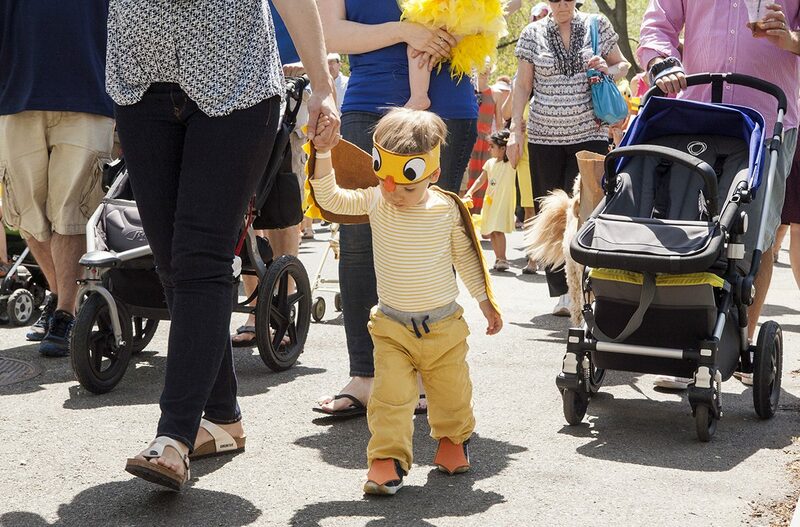 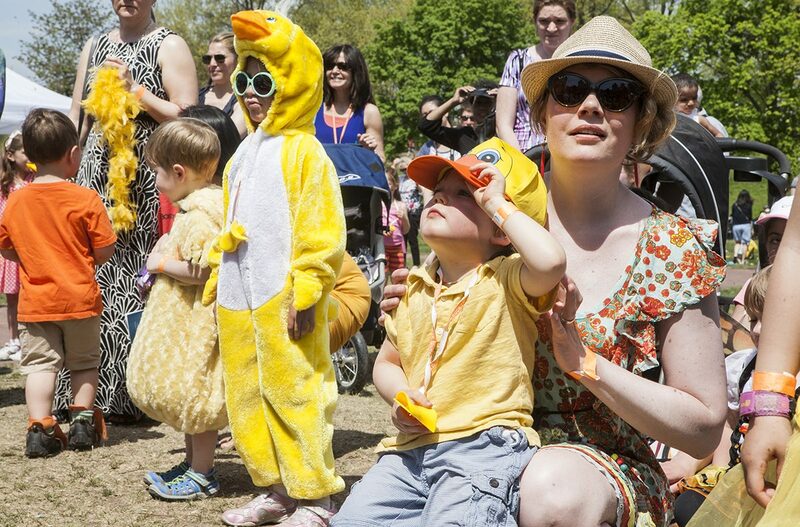 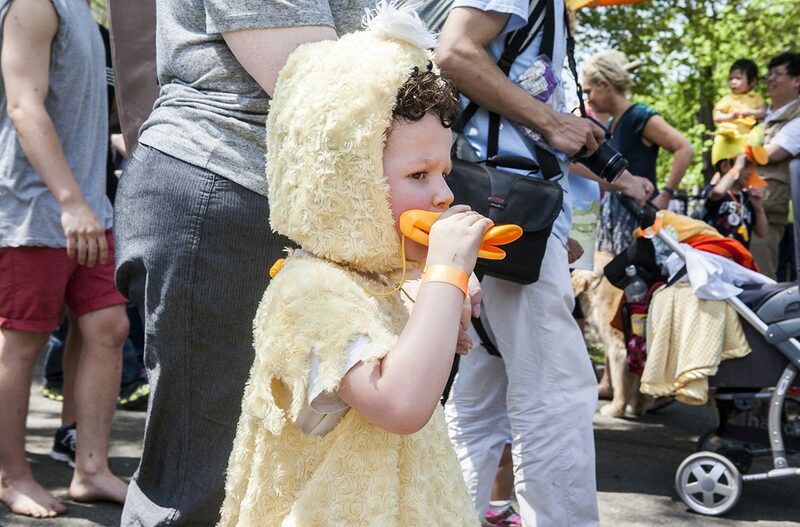 Dressed as characters from Robert McCloskey's beloved book Make Way for Ducklings, toddlers made their way from the Common to the Public Garden as part of the annual spring celebration. 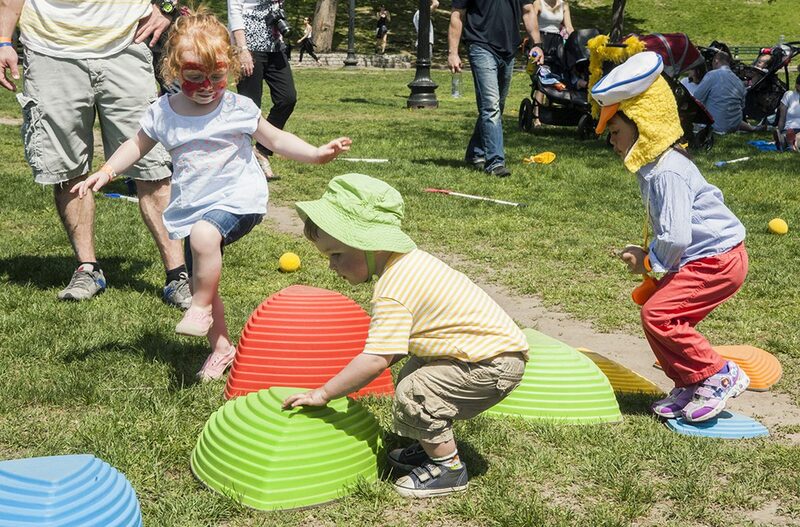 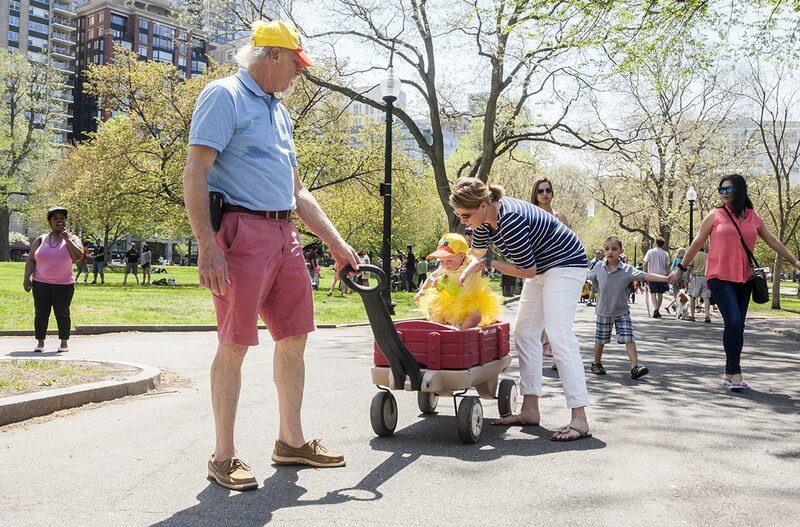 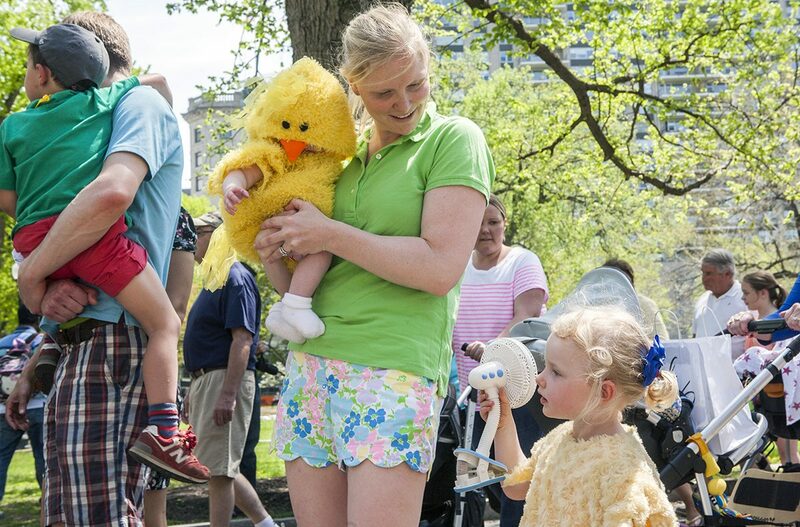 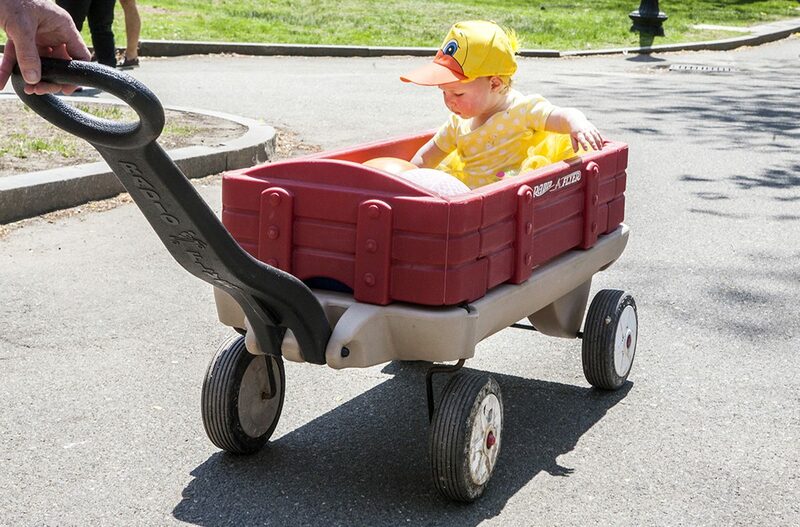 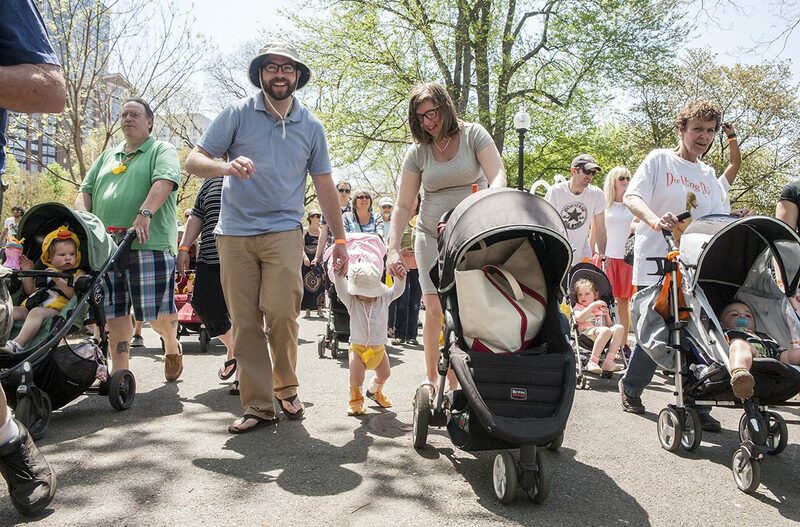 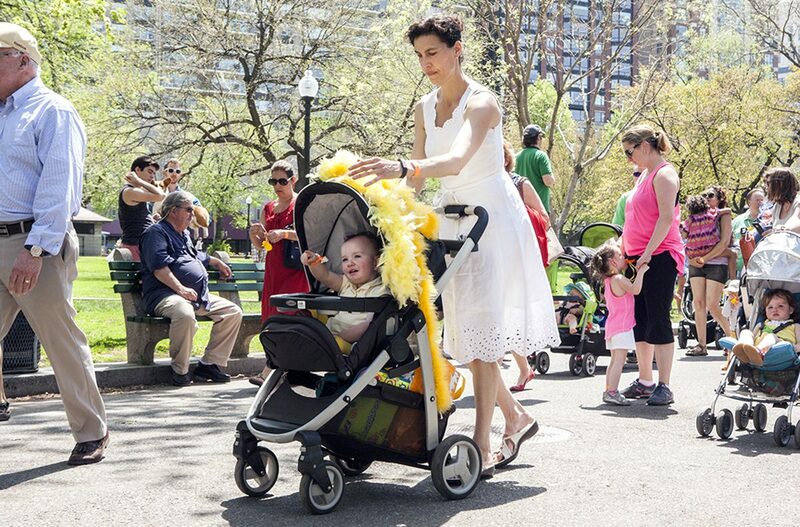 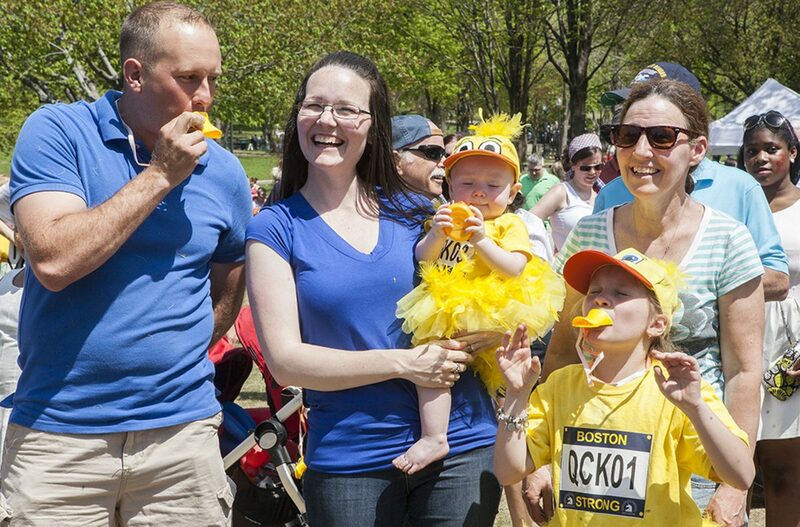 By Olga Khvan·	 5/11/2015, 11:51 a.m.
On Sunday, a parade of families made their way through the Boston Common and into the Public Garden, retracing the steps taken by Mrs. Mallard and her ducklings in Robert McCloskey’s beloved book Make Way for Ducklings. 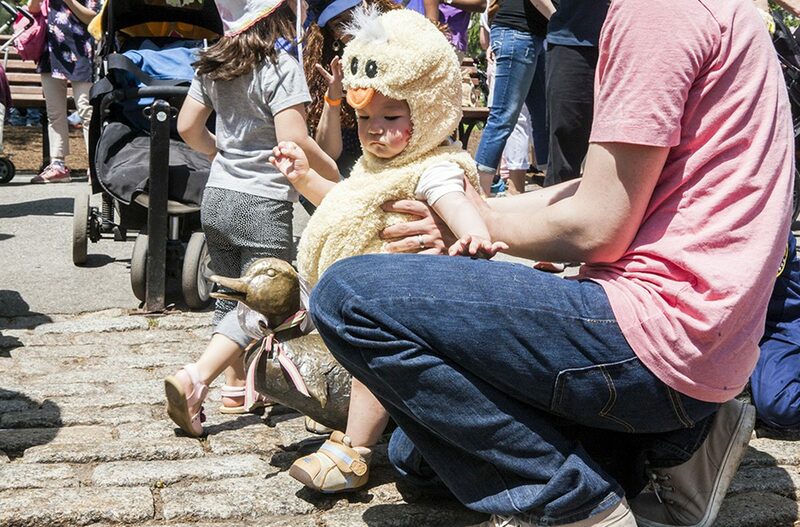 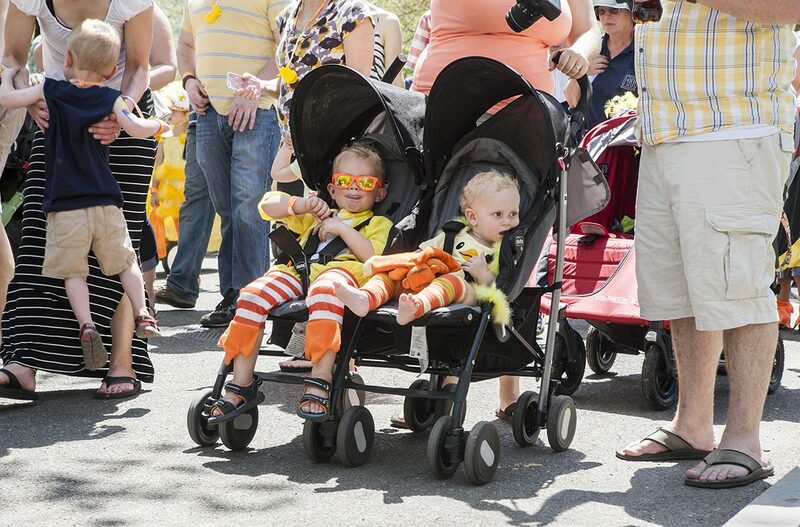 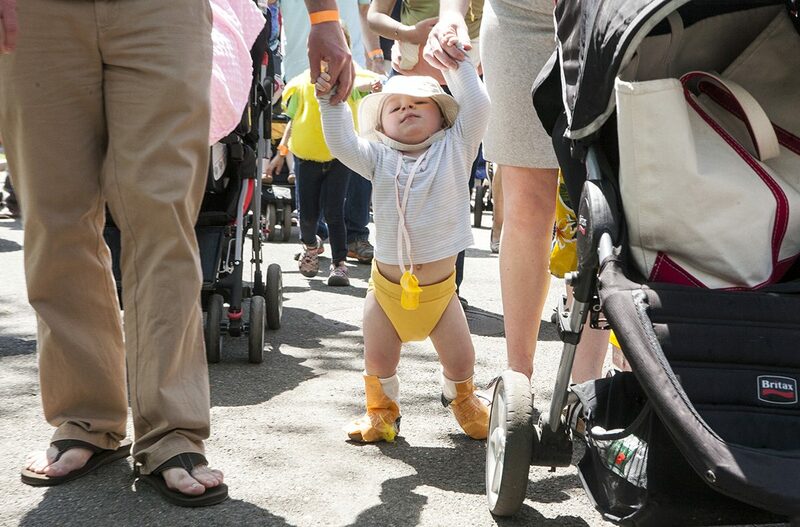 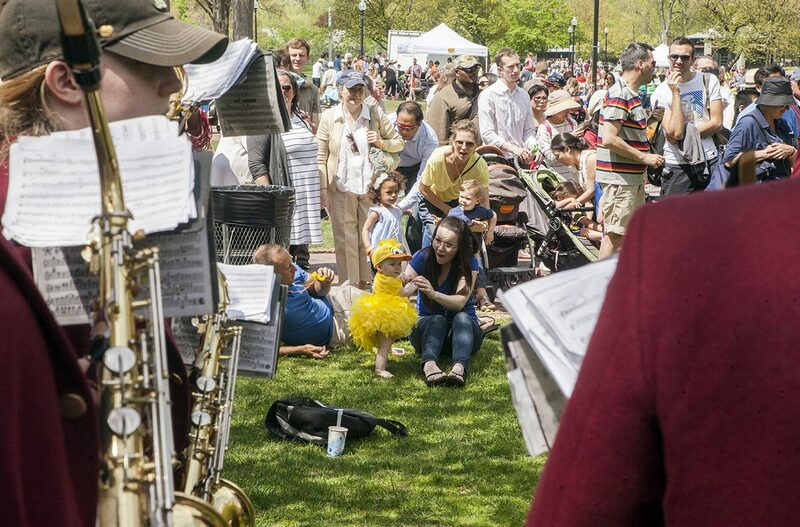 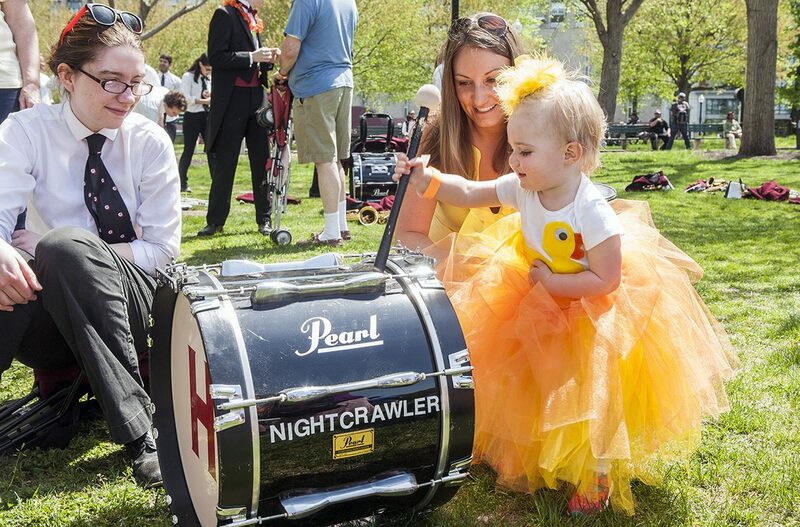 The Harvard Marching Band led the way for parents who walked, carried, and wheeled their babies and toddlers, outfitted in both store-bought and homemade duckling costumes as part of the annual Duckling Day celebration. 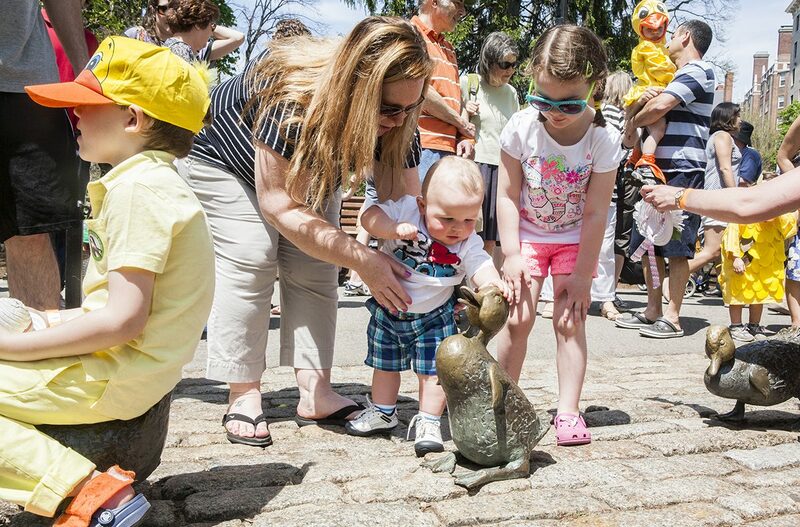 A few miniature policemen made appearances as well, to represent Michael, the officer in McCloskey’s story who feeds peanuts to the Mallard family and stops traffic to help them navigate downtown Boston. 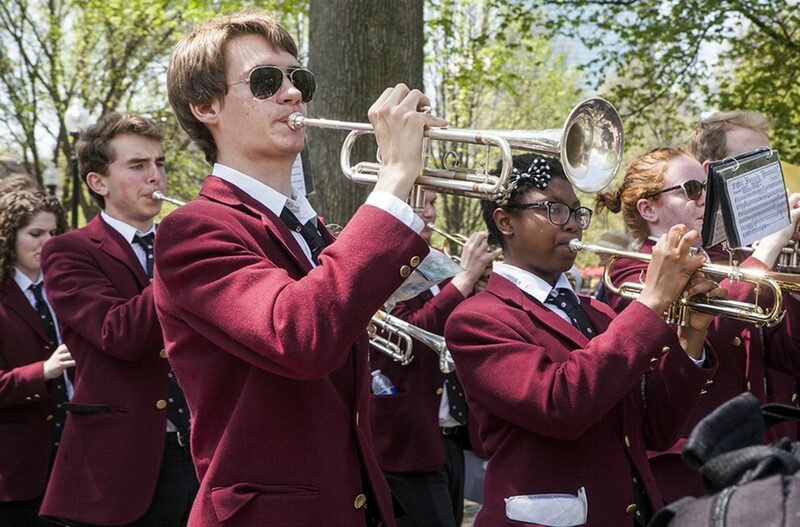 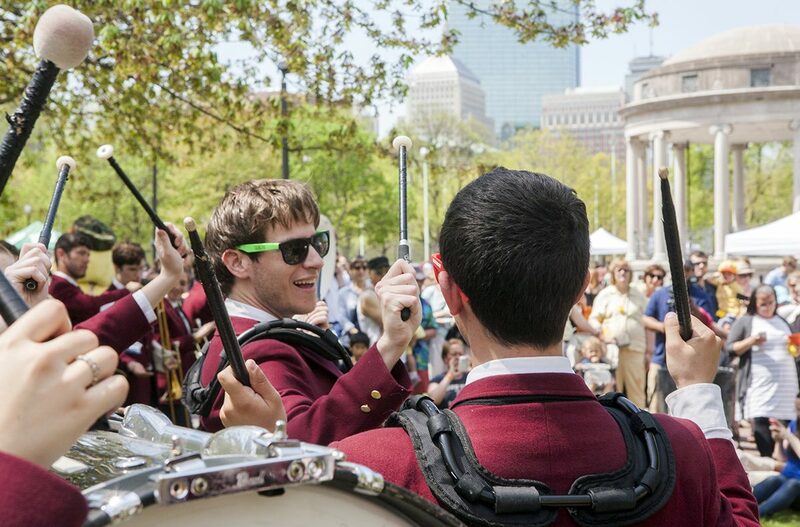 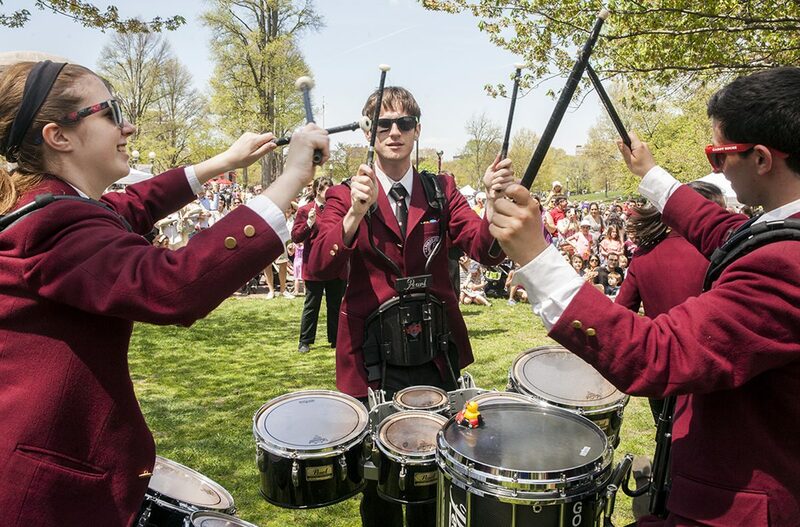 Before the parade, the Harvard Marching Band performed upbeat selections from their repertoire on the Common—including Jackson 5’s “I Want You Back” and K’naan’s “Wavin’ Flag”—where tents were set up to offer games and face-painting for toddlers and mini-massages for moms. 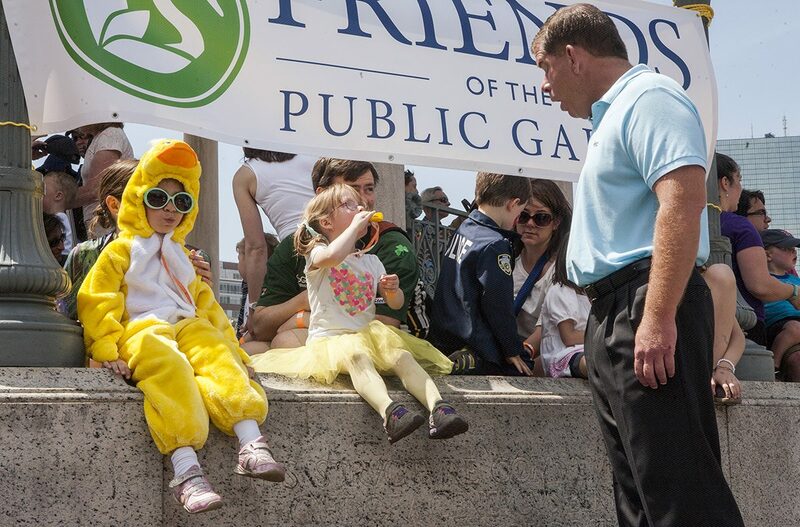 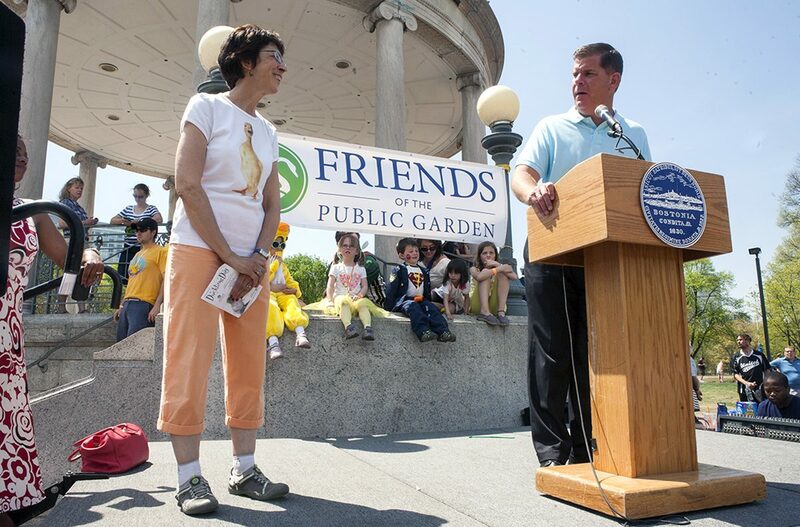 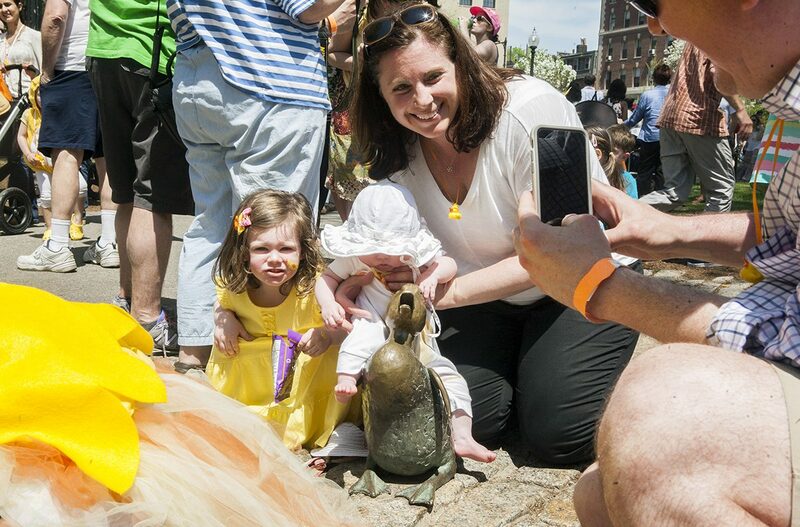 Members of the Wheelock Family Theatre performed a dramatic reading of Make Way for Ducklings, and Mayor Marty Walsh and Friends of the Public Garden executive director Elizabeth Vizza greeted the crowd. 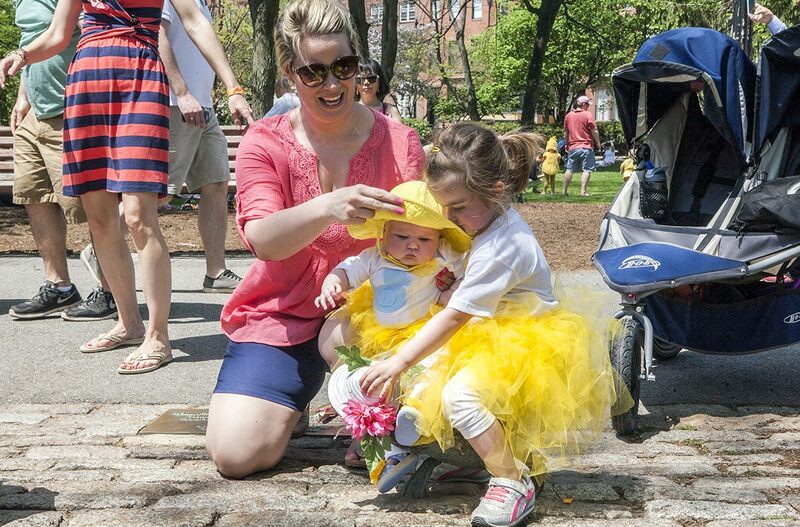 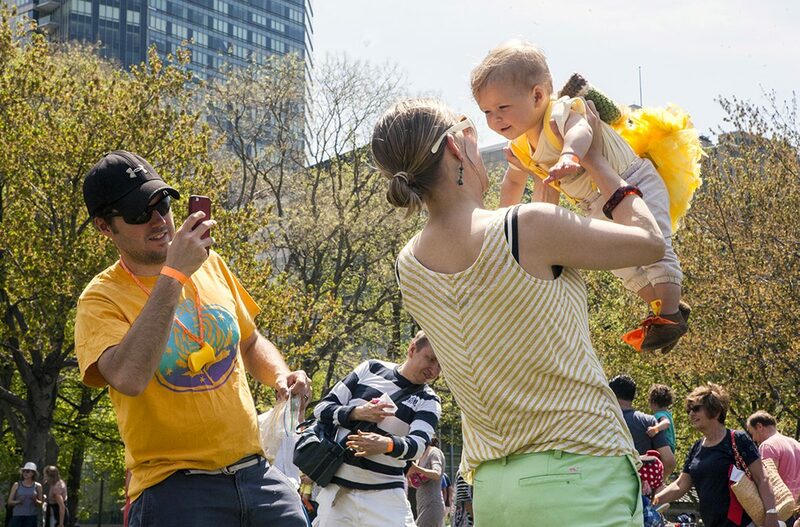 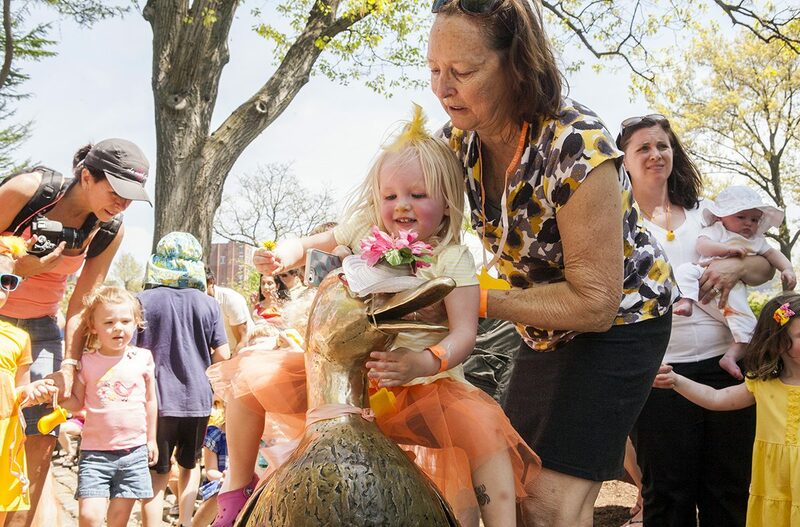 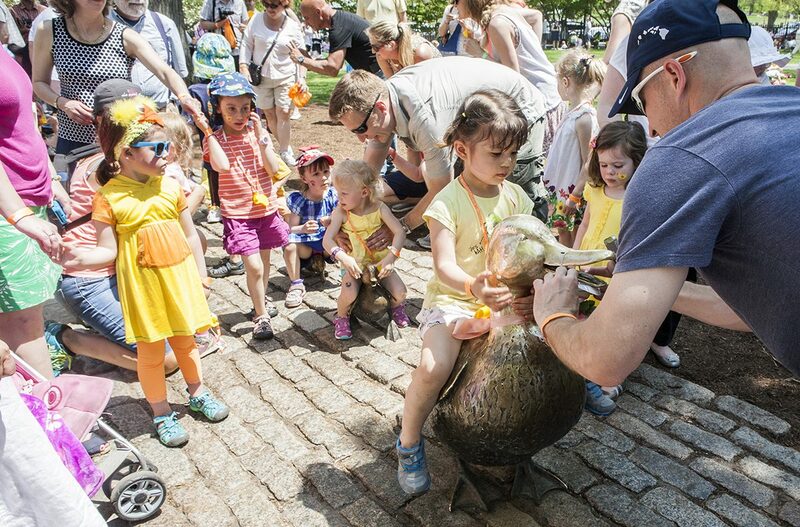 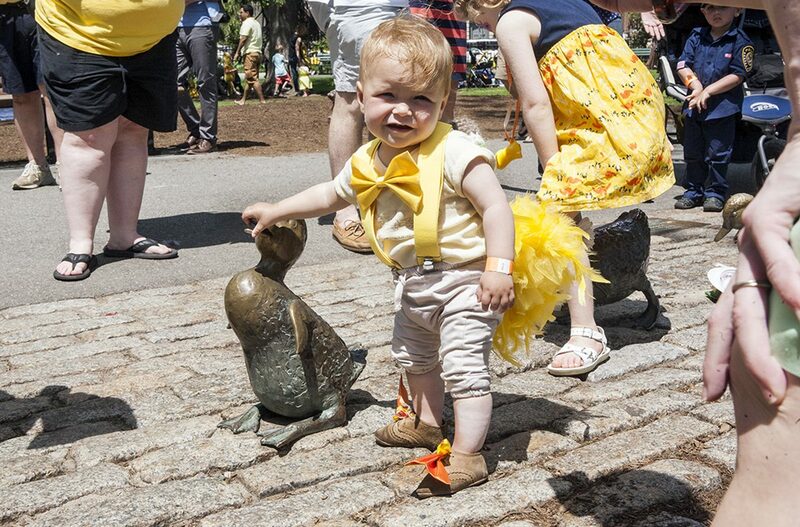 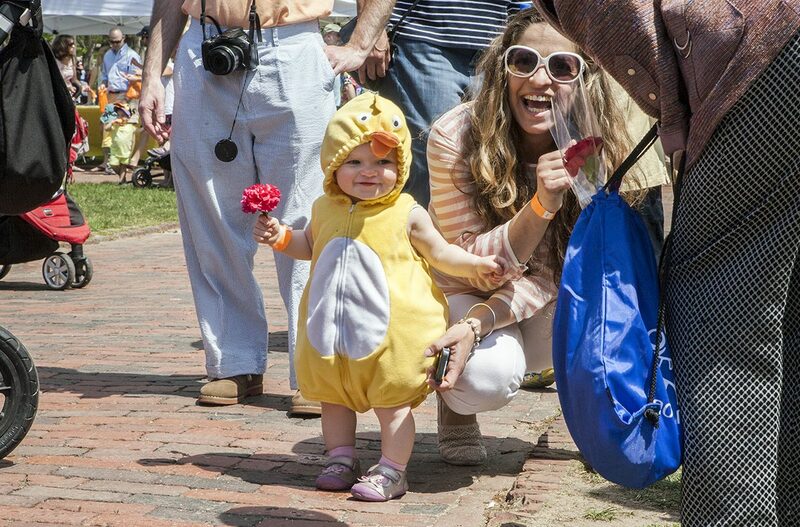 Upon arrival at the Public Garden following the parade, families took turns creating picture-perfect moments at the bronze duckling statues in the park, which were topped with colorful bonnets in honor of Mother’s Day.